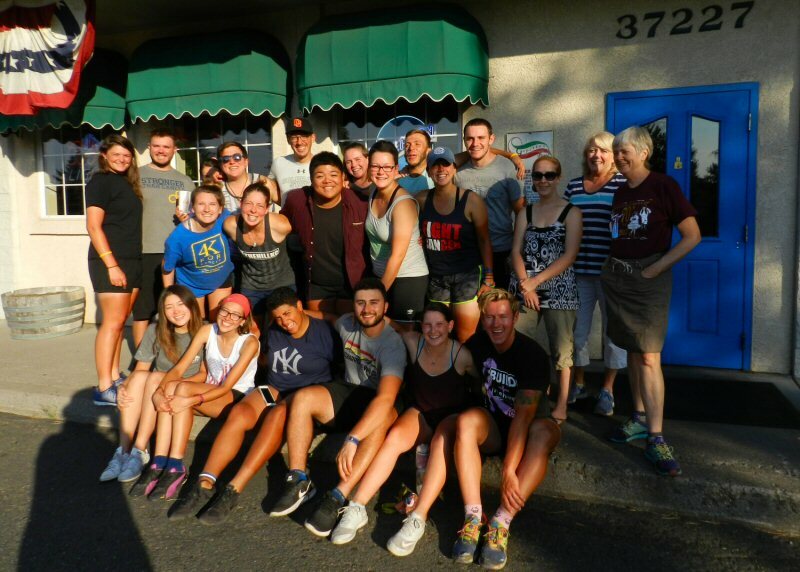 Twenty young adults riding bicycles cross country to show support for young adults and their families impacted by cancer arrived in Burney on Saturday afternoon. This was Day 63 of their 70 day ride from Baltimore to San Francisco. 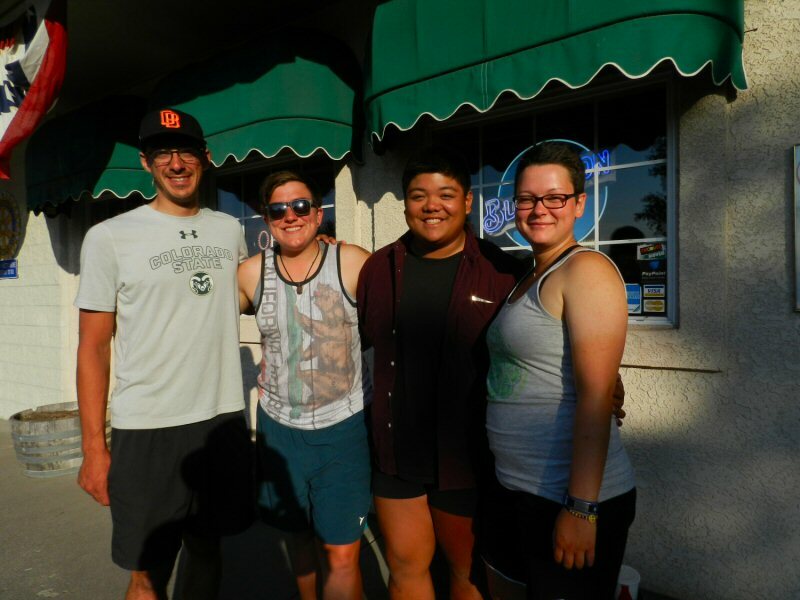 The riders enjoyed a wonderful pizza dinner at Gepetto’s compliments of Bob Moore with salads made by Burney community gardeners. After dinner the group went to visit Burney Falls and then spent the night at the Word of Life Assembly of God gym. They left Baltimore on June 4 and plan to finish their ride at Chrissy Field in San Francisco around noon on August 12. Sara Brown from Fredericksburg, VA and Meldrick Umahon from Livingston, New Jersey are the group leaders for the ride. Umahon said that two spectacular highlights of the journey were their rides at Crater Lake and through Rocky Mountain National Park. He said that the warm welcome they received in Arapahoe, New Mexico was also very special. They were there on July 4 and were invited to ride in the Independence Day Parade. The 4K for Cancer is a program of the Ulman Cancer Fund for Young Adults, a non-profit organization that changes lives by creating a community of support for young adults, and their loved ones, impacted by cancer. The headquarters of the organization is located in Baltimore. Group leader Umahon said, “I’ve been inspired by the human passion to fight and keep going in life. The 4K for cancer explores the heart, mind, and spirit of motivated individuals to make change. I could not be more honored to serve humanity and letting others continue to laugh and love. Kathy Newton from WOLA and Sarah Clarke helped to host the cyclists during their stay in Burney.